Several years ago I wrote a brief article for my then new blog. www.dinewithjb.com, about Anthony Bourdain. I felt an instant kinship with this man after reading his iconic book Kitchen Confidential, and with whom, under different circumstances I may have become very good friends with if I had just turned the right corner at the right time. Just a few days a go, while I was sitting having breakfast in Rome, the headline popped up on my phone that Anthony Bourdain had taken his life. I was shocked. I’m still not over it. So as a cathartic sort of therapy, I re-publish the short note I wrote in admiration of this man. May he rest in peace and may he revel in glorious debauchery somewhere in the universe. I may not find eating cobra hearts or arctic seal eye balls very appetizing, but I think that Anthony Bourdain and I may be kindred spirits. Ever since I started reading his books and watching his shows on the Travel Channel I have discovered many similarities that link my life and his. I became a fan of Mr. Bourdain, like many of you, after reading Kitchen Confidential, his breakthrough bestseller about the underbelly of the restaurant business. From there, his shows such as A Cook’s Tour and No Reservations have taken a primary place on my TIVO lineup – I never miss an episode. So what do I see as the genesis of this apparent bond – well for starters, in the early seventies, I was partying in Provincetown, Mass., just like Anthony, hanging out at Norman Mailer’s house smoking bad pot and jamming on acoustic guitars believing we were musically adept. I remember walking the streets of Provincetown barefoot, which for me, having grown up in an uptight bourgeois environment was quite liberating. I knew then that the Bohemian, rebellious life was for me – though alas, I ended up choosing a more conventional road in my life. 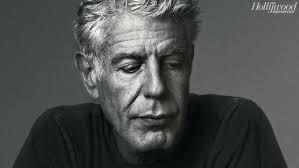 But the opportunity was there, and if I had been more conscious of my culinary passions, who knows, Anthony and I could have shared a kitchen peeling potatoes or prepping vegetables somewhere on the Provincetown pier. And we both have European roots – I remember watching an episode of one of his earlier TV shows where he and his brother return to France to the little town where they used to spend their summers with their family. 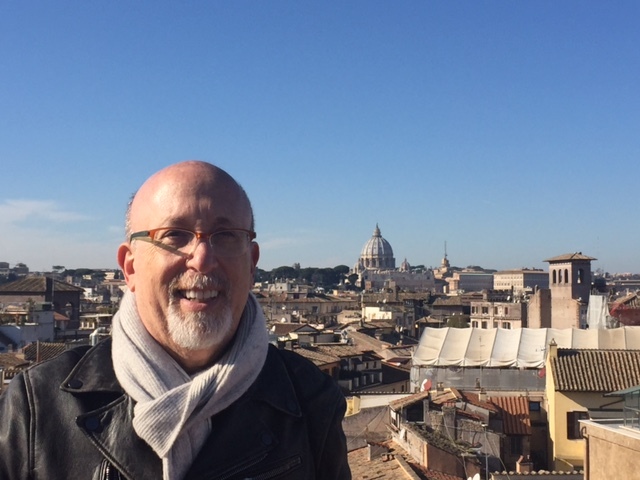 These Proustian memories were very reminiscent of my childhood too, where my brother and I many times returned to Rome and to the beachside resort where we spent so many years and where we left behind so many seminal experiences from our youth. The food, the people, the local merchants – all of it paralleled Bourdain’s retelling of his similar experiences. I certainly lack much of his culinary courage yet I can see there are many similar experiences we have shared as our lives have taken different directions – how cool would it be to sit down and break some bread with this man.